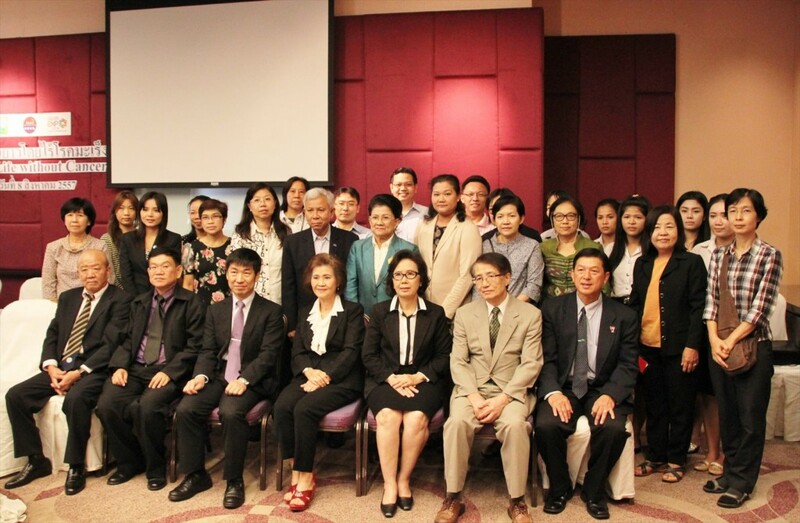 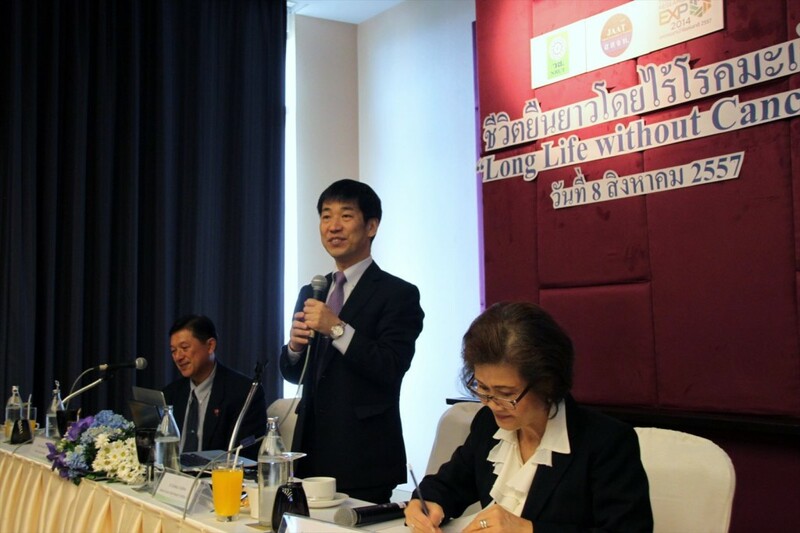 On August 8, the JSPS Alumni Association of Thailand (JAAT) put on a seminar titled “Long life without cancer” under the cooperation of National Research Council of Thailand (NRCT) and JSPS. 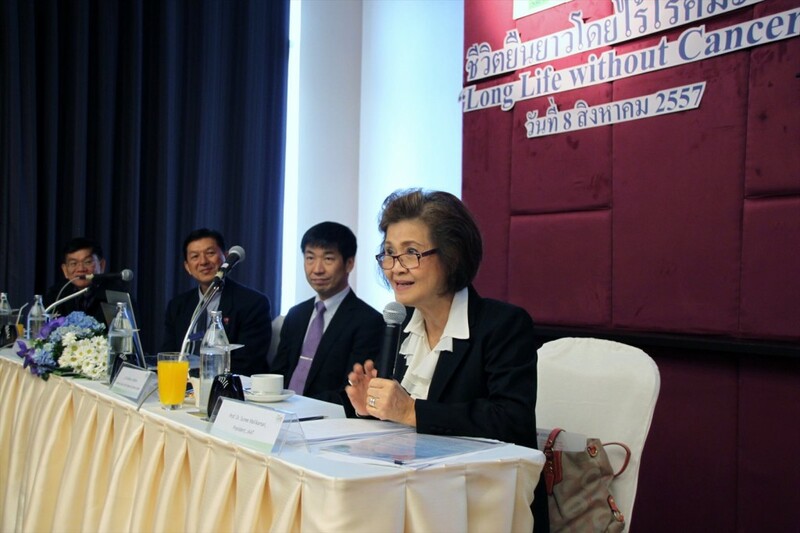 After NRCT Office of International Affairs Director Pimpun Pongpidjayamaad and JSPS International Affairs Division Director Mr. Hisashi Kato offered opening remarks, chaired by JAAT president Dr. Sunee Mallikamarl, Dr. Toshikazu Ushijima, National Cancer Center Research Institute, Dr. Danai Tiwawech, National Cancer Institute, Thailand and the Secretary General of JAAP and Dr. Wichet Leelamanit, Faculty of Pharmacy, Mahidol University delivered lectures. 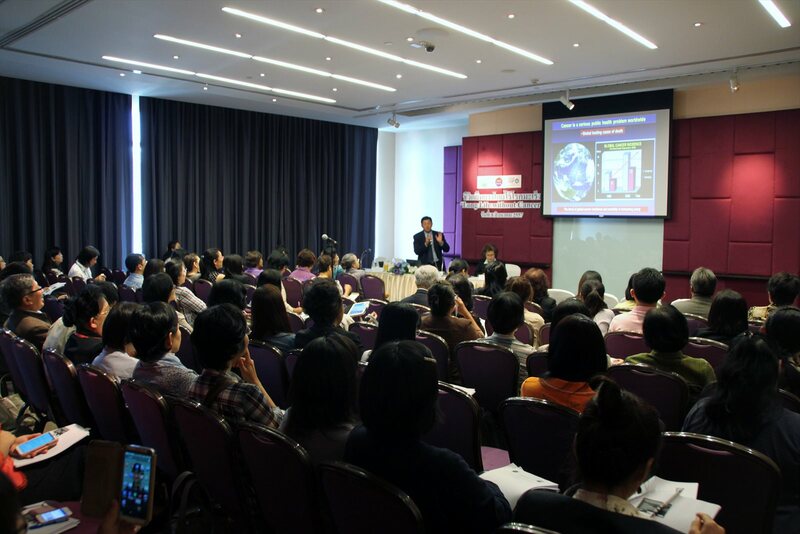 Through the lectures speakers emphasizes the importance of early detection and treatment. 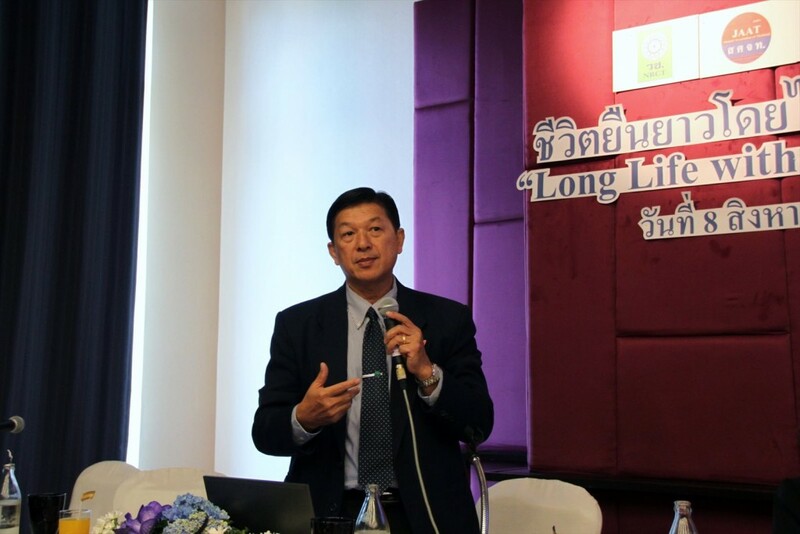 Dr. Ushijima delivered the keynote lecture titled “Live longer without bad cancer”, introducing the mechanism of cancer development and metastasis, relationship between lifestyle and cancer initiation, Dr. Ushijima also mentioned how to prevent from cancer especially for Thai people, participants listened to carefully. Dr. Danai and Dr. Wichet presentations were made in Thai. 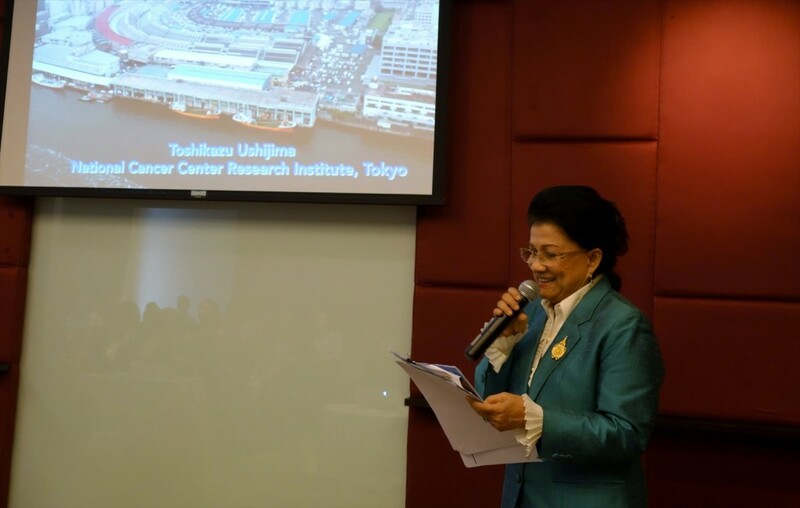 Dr. Danai’s lecture titled “Genes and proteins for cancer detection and prevention”, talked about how to detect and prevent cancer. 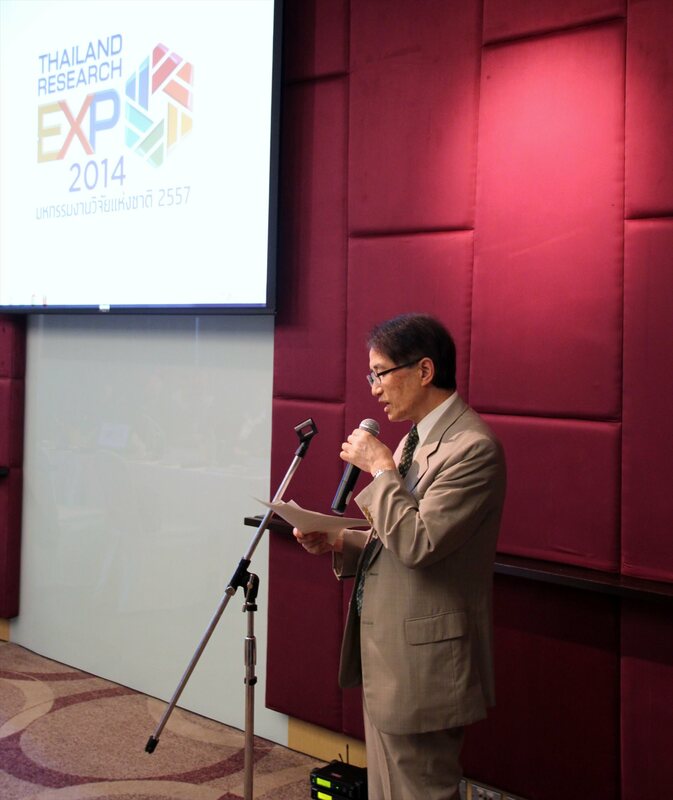 Dr. Danai stressed the importance of the cancer detection system development. 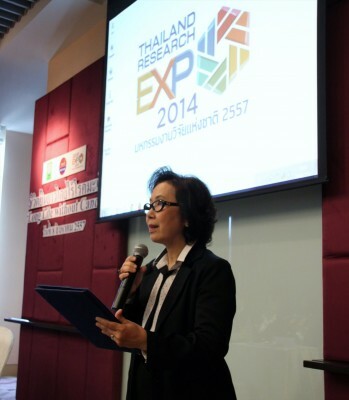 Dr. Wichet gave lecture “Thai-herb and cancer treatment”. The risk of cancer in Thailand, improvement of dietary life and lifestyle habit for preventing cancer. Food and lifestyle can be a main causes of cancer, about 70 % is due to the reason. 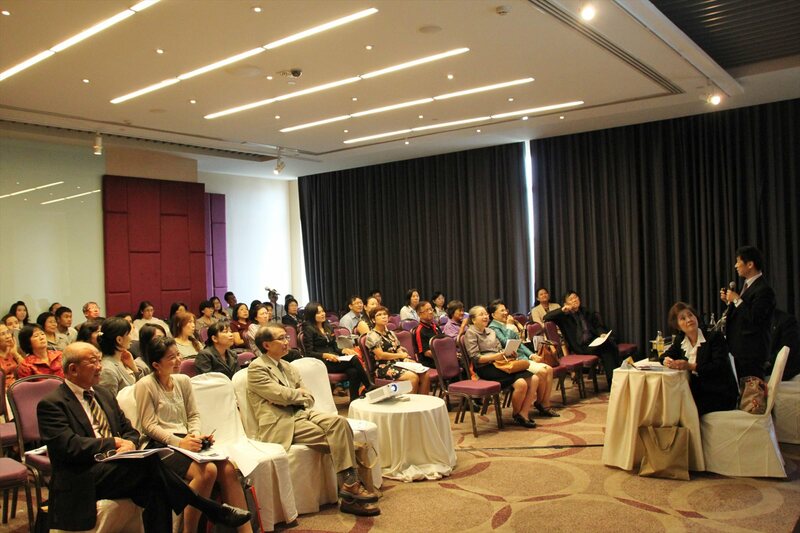 Others are genetic reason, 10% and environmental, viral reasons are about 10%. 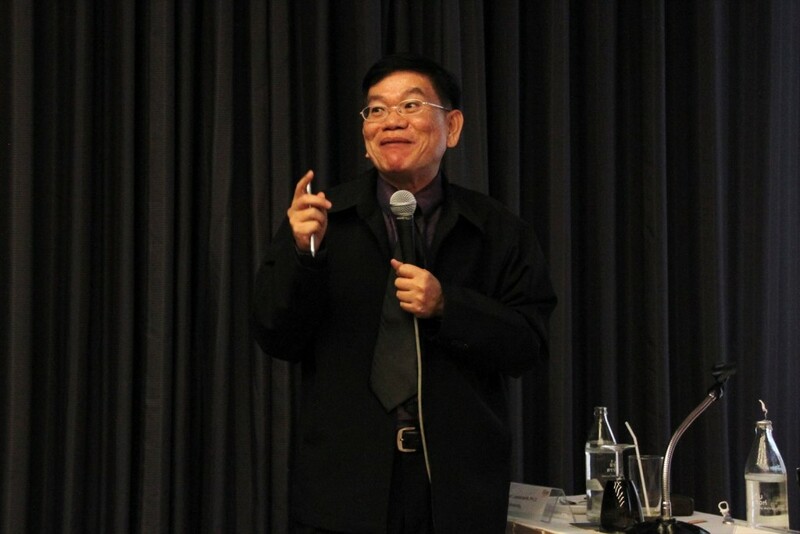 On that basis, Dr. Wichet talked which food people should take, and the effectiveness of the food to prevent cancer. 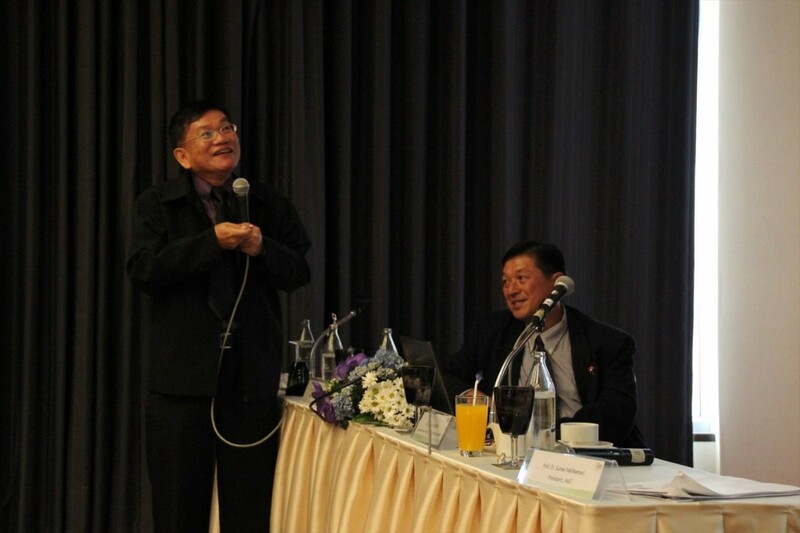 As Dr. Wichet’s presentation was filled with humor, the audience was eagerly attentive. Recently Thai people are keen on health issues especially cancer, it was proved by the fact that more than 100 audience joined this seminar.